Hey there big fella, buy me a drink? New for November 2011! Electronic decoys are used to protect combat aircraft. They are basically stove-pipe networks, receiving signals, adding some secret sauce and rebroadcasting, to tell incoming missiles "hey, I'm over here, ignore that other radar return, stupid!" RT-1489 GEN-X has been around a long time, used in the original Gulf War, and stand for "generic expendable". When an aircraft gets in trouble, a dispenser starts throwing GEN-X overboard. GEN-X is just a few inches long, but contains sophisticated electronics, and a lithium thermal battery for power. GEN-X was one of the demonstrators on Darpa's MIMIC program. Such miniature systems would not have been possible until MMIC circuit technology came of age. 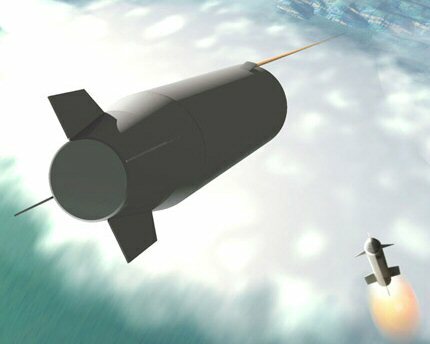 The GEN-X Decoy is a small, one shot, expendable terminal, RF threat countermeasure that receives an RF signal from a recognized threat, such as airborne or land-based semi-active radar guided missiles, then transmits RF power to counter that threat. The GEN-X Decoy can be launched from the AN/ALE-39 or AN/ALE-47 Countermeasure Dispensers using a CCU-63/B or CCU-136/A Impulse Cartridge. GEN-X has been designed and cleared for flight on all Navy tactical aircraft. RT-1489 GEN-X measured 5.80" long by 1.35" diameter and weighs 1.10 lbs. There are two fielded towed decoys. 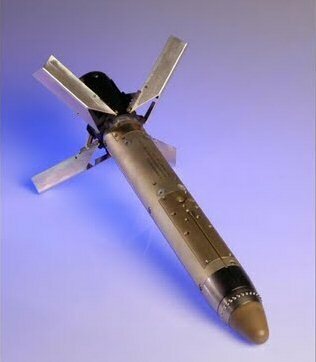 ALE-50, the Raytheon system, which dates back to 1996, or about five years too late for the first Gulf War. It was originally called AAED (A-squared E-D) for advanced airborne expendable decoy. ALE-55 was developed by BAE Systems. The primary difference between the two is that the 55 uses a fiber-optic link between aircraft and decoy. The second and more noticeable difference is in the shape and fins. A towed decoy needs to have some aerodynamic drag to keep the tether taut and stable. You can recognize the two decoys because they use two different means of drag. The ALE-50 has the coffee-cup nose, which legend has it was designed by a consultant for a very hefty chunk of change after original spearheaded decoys failed to fly. Don't have a costume for that Old Crow's Halloween party? Bite down on khaki-colored Styrofoam cup so it covers your nose, and everyone will recognize you are the ALE-50 decoy! You can have your date lead you around with a tether for the full effect. The ALE-55 has pop-up drag fins. Ask either manufacturer which is better, and they will tell you many reasons why their idea is the best. There are three parts to a decoy: power supply, solid-state module and mini-TWT, and each one has its own particular manufacturing pain points in this system that must perform over extreme altitude and temperature ranges. Prime power comes down the tether at thousands of volts and is converted to whatever is needed; high voltage is used in order to keep the current-carrying requirement very low. You would not want to drag a fourteen-gage wire. Future versions of towed decoys will be needed to cover new frequency bands where threats are emerging. There will come a time when multiple decoys are needed to cover sub-bands, but ultimately a DC-to-light decoy is what everyone is after. Decoys are presently only used once. A tiny pair of scissors cuts off the tether before the aircraft lands, presumably over friendly territory so enemies don't get a chance to admire it up close. Discarding the decoy is necessary to prevent the potential mishap during reel-in of wrapping the tether around the aircraft's stabilizer fin which might cause a serious distraction to the pilot. There have been attempts over the years to create a reel-out/reel-in system so that decoys could be recovered and used again. But if your business was in selling decoys, you wouldn't want to rush in to such a development without a few decades of research, right? 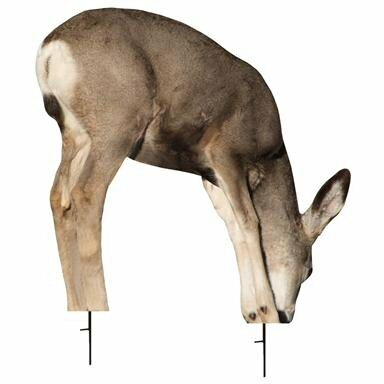 The price of a decoy is reported as $22,000. The fuel tanks on F/A-18 hold 4,800 gallons (and can be refilled in-flight). So one way to look at it is that the loss of a decoy is probably less than the cost of the fuel for a mission.